In a tragic scenario, six people were killed when an balcony collapsed in Berkeley, California, on Tuesday. The victims were attending a birthday party at the residence when the collapse occurred, but it's still not clear what caused the balcony to tear away from the fourth floor of the building. A structural engineer told the Los Angeles Times that it seemed likely that the building had dry rot, which might have weakened the balcony's support beams, leading to the structure's collapse. But is this a common thing? Several balcony collapses have occurred throughout the United States over the years. In similar instances of balcony and porch collapses, overcrowding and structural deficiencies often play a role. Both of those were factors in a deadly porch collapse in Chicago back in 2003. Thirteen people were killed when the second-floor porch collapsed under the weight of some 60 people, the Chicago Tribune reported. Not only did the one porch collapse, but it crushed a porch beneath it, trapping people below, according to BBC News. One witness said she heard "wood splitting" as the porch gave way, and a statement by another witness that people were seen jumping up and down on the structure before the collapse became very controversial during the investigation, according to the Tribune. Several victims' families filed lawsuits against the city of Chicago, saying building inspectors knew the structure was unsafe and failed to act, but a court ruled that city was not liable. Balcony collapses don't always involve overcrowding, however. Last year in Columbia, Missouri, a firefighter was killed in a balcony walkway collapse, The Columbia Missourian reported. Lt. Bruce Britt had responded to the scene of a partial collapse at an apartment complex on the University of Missouri campus, and while he was trying to evacuate residents, the structure collapsed on top of him. His widow filed a wrongful death lawsuit against the university, claiming the building was not well-maintained, according to the Columbia Daily Tribune. The university has not commented on the lawsuit. A federal investigation found that deterioration in the walkway's concrete was a factor in the collapse, reported The St. Louis Post-Dispatch. 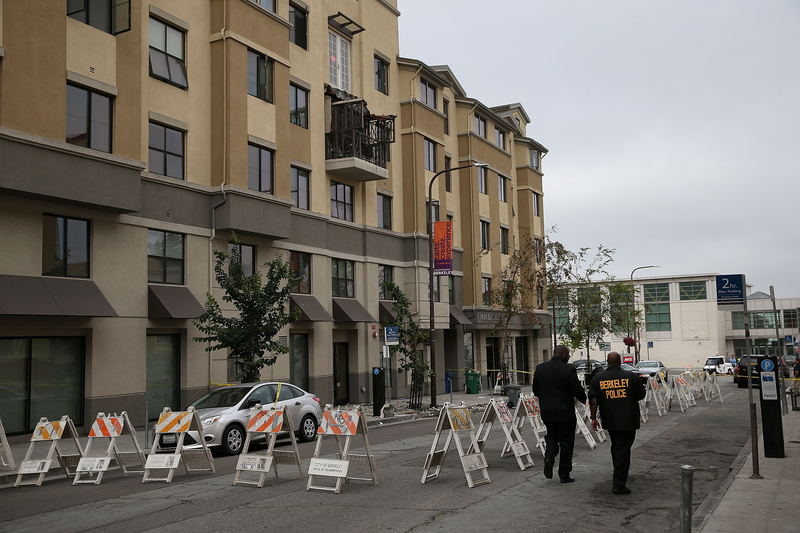 The similarities in the circumstances of porch and balcony collapses led at least one city to toughen rules for landlords. Mandatory inspections are now required for landlords in Boston, The Boston Globe reported. A porch collapse in Boston in 2013 injured 12 people, and at least one city official expressed frustration. Bryan Glascock,commissioner of the city's Inspectional Services Department, told the Globe, "If you you own property, whether it’s a rental property or your own home property, you need to be aware that things like porches and decks don’t last forever."